Jennings Brewery is celebrating 190 years of brewing in 2018 with a limited edition commemorative pump clip for their flagship beer, Cumberland Ale and a programme of events and promotions throughout the year. 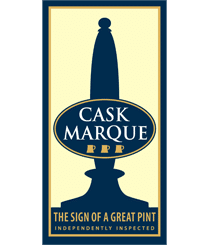 In 1828, George IV was on the throne and the Duke of Wellington was Prime Minister when the son of a local maltster, John Jennings, began brewing in his Lorton-based brew house. 190 years later Jennings Brewery and its famous Cockermouth brewery now owned by Marston’s is synonymous with the Lake District and Cumbria and is renowned the world over for its premium award-winning ales and warm Lakeland hospitality. A limited edition commemorative pump clip for their flagship beer, Cumberland Ale, is being produced for beer and pub enthusiasts and there will be commemorative glassware, T-shirts and merchandise available throughout the year. The brewery will host a series of events to mark the anniversary including Easter at the brewery in March, a trolley dash in July (the 190th day of the year) and a Family Fun Day in September. Meanwhile, the Jennings bar will be appearing at many of the region’s outdoor events with special discounts on offer.